Elon Musk’s tunnel-drilling company made millions over the weekend by selling a product that has nothing to do with tunnels or drilling. 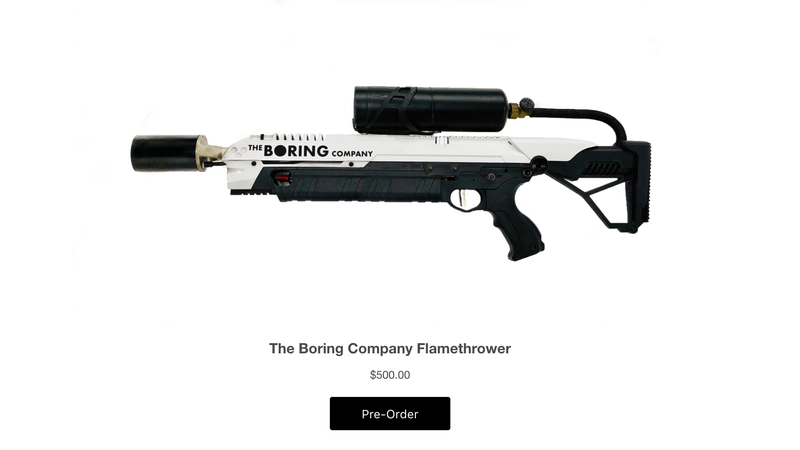 On Saturday night, Musk announced pre-orders for the Boring Company Flamethrower, a $500 gimmick that is really more of a flame-sputterer than a flamethrower. Flamethrowers shoot out an ignited stream of flammable liquid so that agricultural workers, soldiers, and pyrotechnicians can ignite things that are several yards away. 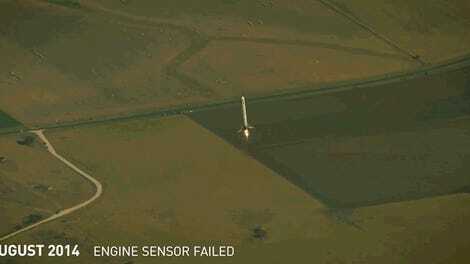 Musk’s device shoots a much smaller flame, like a souped-up cigar lighter. But that doesn’t matter to Musk because he really loves holding a toy firegun. Behold the face of a carefree billionaire pretending to light someone on fire—pure bliss! Musk tweeted that the short range means the product doesn’t violate ATF standards, and suggested it is less dangerous than a steak knife. Even though the glorified blowtorch has virtually no practical use, the Boring Company had already sold 7 thousand of them by 1 AM on Monday morning, worth about $3.5 million. Just before this story was published, a Boring Company spokesperson provided us with an update: “We’ve sold approximately 10k so far,” they said, worth about $5 million. 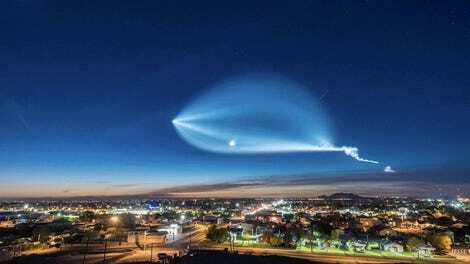 If Musk sells all of the 20,000 fireburpers the company has planned for production, that’ll be $10 million. It’s an impressive step up from his last Boring swag sale—50,000 hats at $20 each. Musk seems to be at his happiest when he’s selling weird merch. After his successful cap sales, he changed his twitter bio to “hat salesman.” Now he’s tweeting out jokes about flamethrowers and a zombie apocalypse. It’s an effective sales tactic, because watching a billionaire’s manboy giddiness play out in real time does make us want to light something on fire.